The Vision is to see a healthy congregation in every community around the globe. To achieve this ambitious goal we provide two programmatic tracks: More Churches, Stronger Churches. More Churches is a modular training program for church planters. Strong Churches is a program to help existing congregations become healthier and more effective in congregational life and mission. 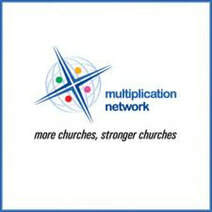 The mission is to foster the growth and planting of healthy churches by training national leaders and publishing resources on the web that are downloadable for free all around the world. Gilgal Christian Community is a Member of the Evangelical Fellowship of Canada. Canada's National Association of Evangelical Christians since 1964, The Evangelical Fellowship of Canada (L'alliance évangélique du Canada) has gathered evangelicals together for influence, impact and identity in ministry and public witness.